Steven Weinberg on modern science. "Stand still," John Donne wrote, way back in 1633, "and I will read to thee / A lecture." The next lines of that poem, "A Lecture upon the Shadow," appear as the epigraph to Steven Weinberg's recent (and quite lecture-ish) history of science, To Explain the World: "Now, the sun is just above our head … And to brave clearness all things are reduced." Clarity through reduction is Weinberg's goal. By the time he gets to his conclusion, he has reduced the lenses through which we view nature to just one layer: the "truly fundamental principles of physics," which can be used to explain every phenomenon we know, from chemical reactions to biological realities, from gravity to human consciousness. Biologists and chemists are merely sub-operators, governed by physical laws. Philosophers, historians, and ethicists, begone. Poets, artists, and theologians, take a hike. Steven Weinberg, now in his eighties and a Nobel Laureate in physics, can certainly claim the prerogative to tell his tale in a way that puts his own professional competencies front and center (not to mention back, left, and right). And To Explain the World provides a useful timeline of important developments in physics, along with a valuable set of appendices that clearly explain the math behind the physics. But as a history, it fails. The book unfolds along fairly standard, if oddly proportioned, lines. As most historians of science do, Weinberg begins with the ancient Greeks, spending five chapters on Greek physics and three on Greek astronomy. 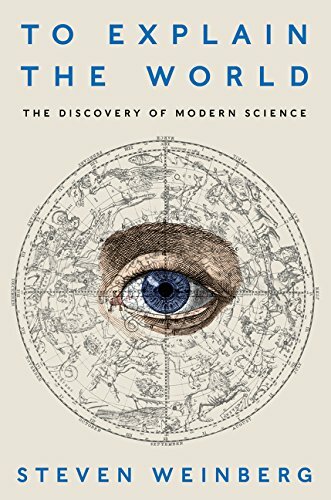 Medieval science (Arabic natural philosophy and Ptolemaic astronomy) gets two chapters, and the scientific revolution (Copernicus through Isaac Newton) four.